Crafting and stamping are a lot of fun, and are very satisfying creative outlets, but let’s face it, they can also be expensive! Here are some ways to help cut that craft budget down to a manageable size. Make a list of what you’d like to have by categories: tools, cardstock, inks, accessories, embellishments, etc. Look for stamp sets that have words and images, so it is easy to complete your project with one stamp set. Also look at the stamp sets you have and think about ways to coordinate your wish list items with those. If you have a few projects in mind before you make your purchase, you will get more value out of your new sets. If the set your are interested in is part of a bundle, consider making the bundle purchase. It will save you 10%, and give you more tools to further enhance your projects and crafting value. The Petal Passion Suite in the new Occasions catalogue provides all of this. Decide if you want to stay in one colour family or more than one. Coordinate your purchases by colour. Prioritize each category into sections: must have, good to have, not needed immediately. I usually put the emphasis on tools, because so many projects rely on basic tools, like a trimmer, to get the best result in your finished project. Check around your house to see if you have substitutes for some basic tools, as an example, you might have a pair of scissors that will serve until you can purchase a better pair, or, in a pinch you can sub a pushpin for a paper piercer. After cutting your cardstock or designer series paper layers, die cut shapes out of the centre of any layers that will be covered by another. Not only will you have some die cuts for a future project, but no one will ever know that you used the centre of a layer. When you use the pieces below for layering, no one will know you cut something out of the centre. Just leave a wide enough border to apply adhesive on your layers! Tie a bow BEFORE cutting the ribbon, thread, or baker’s twine off the spool. You won’t waste as much! If part of a die cut will be covered, let the framelit or thinlit hang off the edge of the cardstock or paper and cut a partial die cut. 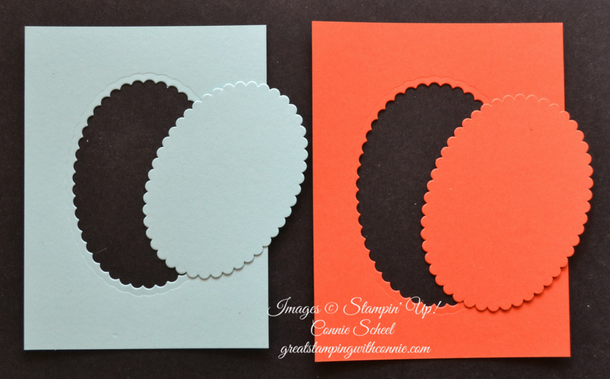 Punch shapes from cardstock scraps. Use left over ribbon scraps to create a design on a project. See a previous post about this here. To avoid duplicating supplies, keep a list of what you have and as you use it, convert that list into a shopping list. Store your cardstock and Designer Series Paper in file drawers or another dark area. Sunlight and heat are paper’s worst enemies.